We take a sensitive cultural approach to our work, respecting the cultural differences, requirements and preferences of all clients. lients. As a certified Home Health Care Service Provider1, we encourage a holistic approach to health and work in accordance with the Treaty of Waitangi’s three core principles of protection, partnership and participation. We apply business structure and best practice in order to fully meet the needs of our clients. To continue to add value in the lives of those we serve, we aim to always keep pace with change. We take every measure to ensure that our clients and extended whanau understand and are fully informed about the services that we deliver. This is done through assessment, placement, reviews and client satisfaction checks. Our staff come from every Pacific background – Samoan, Tongan, Niuean, Maori, Fijian, Indian, European, Nauruan, Cook Island, Tokelauan, Tuvaluan and others – so we can meet our clients’ cultural needs. Cultural appropriateness and responsiveness principles underpin all Pacific Homecare activities and planning. 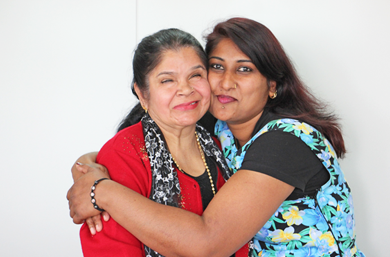 Wherever possible, we provide Coordinators and Support Workers who are matched with our clients’ cultural, language, dietary and faith based requirements, as well as the required skills and experience to meet their needs. For example, if a client is Samoan we can provide a Samoan Support Worker who understands culture and can talanoa in Samoan and provide support as if they were part of the family. We have Support Workers who can work across many Pacific cultures. 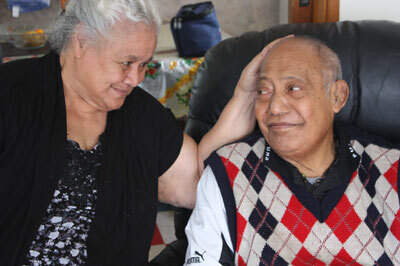 Restorative and goals based care underpins all Pacific Homecare services. We work with our clients to put SMART goals in place; (Specific, Measurable, Achievable, Realistic and Timely), agreeing on the specific goals a client wants to achieve and the realistic steps and timeframes needed to see progress. For example a general goal would be “to be more mobile”; a specific goal might be “to walk to the letterbox and get the mail each day”. All Care Plans include goals and the steps to achieve them. For example, goals-based care is used in teaching the safe use of mobility aids, coaching safe-handling and transfer methods, encouraging responsibility for personal hygiene, regaining self-confidence and practical support in household management, re-creating social relationships and increasing participation in community activities. An emphasis on employee training and skills development ensures we continually improve and evolve our service to meet changing client needs and the challenges within the health sector.